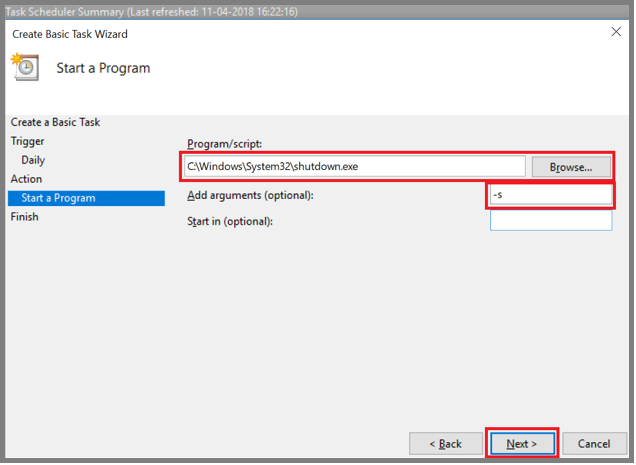 Do you have habit to leave your system opened and forget to shut down, if your answer is yes then let’s schedule a task which will automatically shut down system. The only thing you need to do is to specify time that when do you want system to shut down. You can configure scheduling task on daily, weekly or monthly. Task scheduling does not require any additional software to be installed in system. 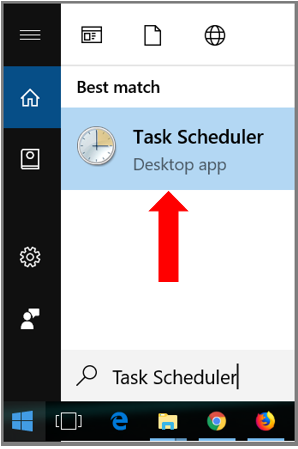 Windows10 comes with default feature to schedule task. Scheduled task can be deleted if not required by following few easy steps mentioned below. 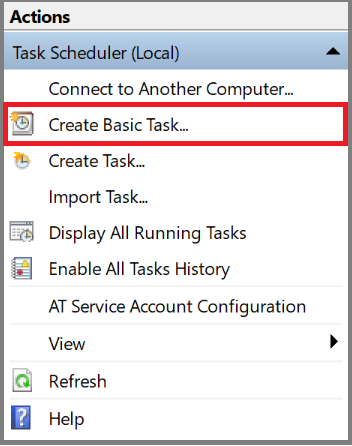 Once scheduled task deleted successfully, system will work same as it was working before scheduling. Click on start and search for Task Scheduler. 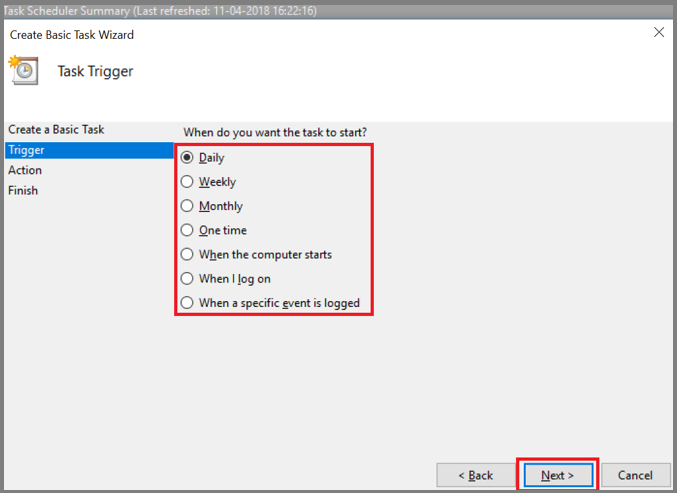 On Task Scheduler window click on Create Basic Task (Shown on right side). 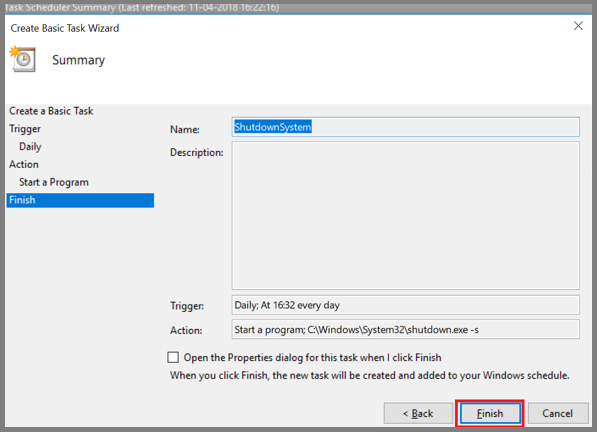 On Task Scheduler window provide the name of task (ShutdownSystem) and click on Next. 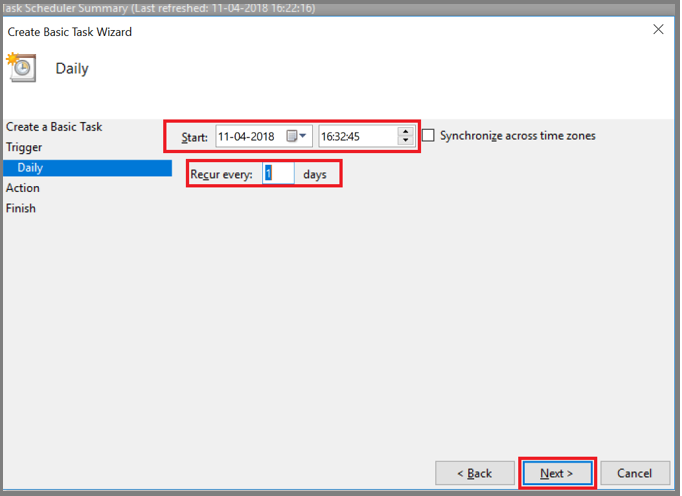 Select Task Scheduler Start Date and Time. If you would like to perform Task Scheduler on every interval of day then change Recur every as per your plan. Click on Next button. 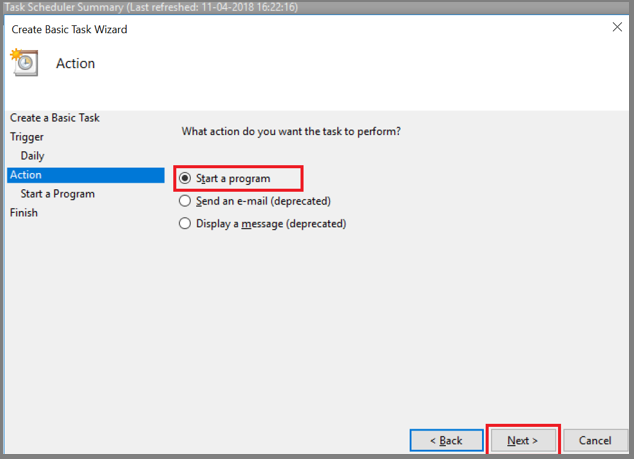 Make sure Start a program option is selected (No change requires on this page). Click on Next button. Click on Browser button and select the path C:\Windows\System32\shutdown.exe. If you are unable to select this path you can just copy and paste this. In Add arguments field enter the value as -s. Click on Next button. Once you click on Finish, you are done with scheduling. Restart your system. After scheduled time reaches, system will shut down automatically. 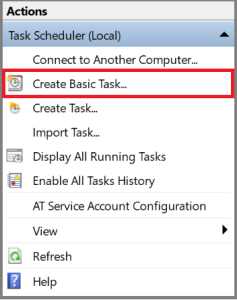 How to remove scheduled task from task scheduler? 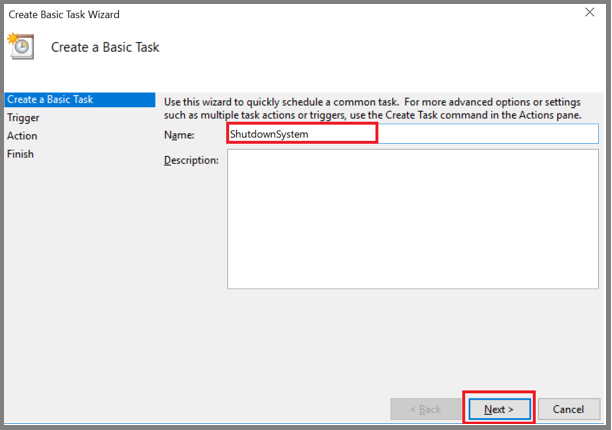 Follow the steps below to remove Task from Task Scheduler. Click on Task Scheduler Library shown on left side. Once you click, all the scheduled task will be listed on the top. Look for your task which you have scheduled and wanted to remove. Select the task and right click on it. Select option either Disable or Delete. Click on Yes. Once you click on Yes, Scheduled task will be deleted.